Original Black Sabbath drummer Bill Ward has formed a new band. Joining Ward in the lineup are guitarist/vocalist Joe Amodea and bassist/lead vocalist Nick Diltz, with guest players Walter Earl on percussion and Aron Ward on keyboards. The drummer will reveal more information about the project at a later date. 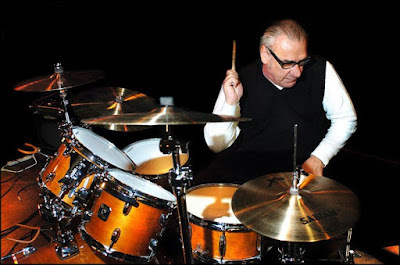 Despite participating in the initial rehearsals for the “13” album and tour, Ward chose to sit out the Black Sabbath reunion in 2012 over contractual issues while the band believes the drummer was not physically fit to tour. A partially-reunited Sabbath – with fill-in drummer Tommy Clufetos – are currenly playing dates on the group’s farewell tour. Ward released his first solo album in 18 years, “Accountable Beasts”, in 2015.